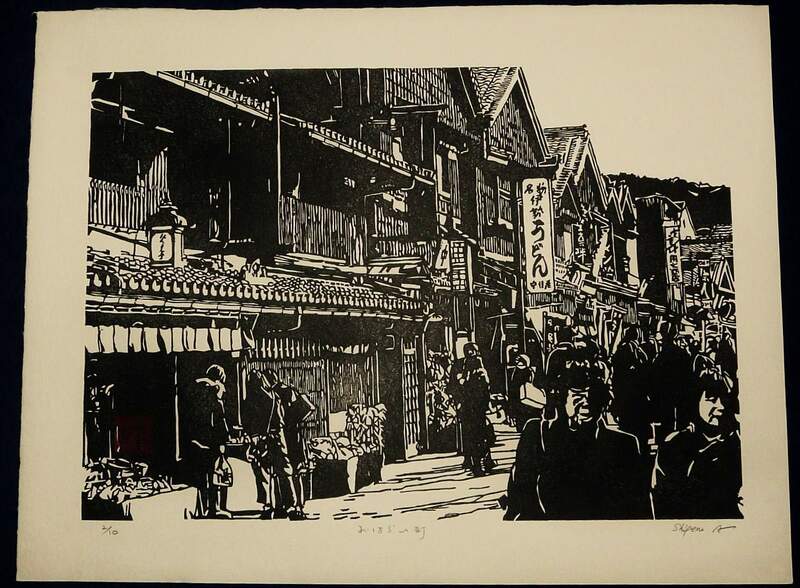 On this page you will find a collection of Japanese woodblock prints by artists who create amazing scenes using traditional Black Sumi ink. 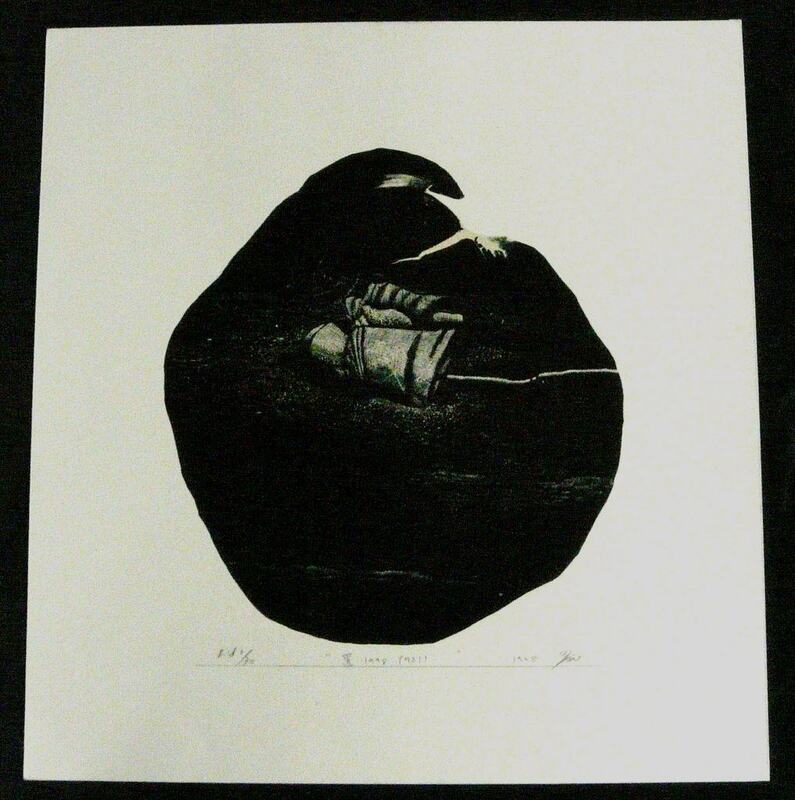 All are first edition original prints in excellent condition. FOLLOWING ARE EXAMPLES OF THE WORK OF SOME OF OUR FAVOURITE YET LEAST KNOWN ARTISTS IN THIS GENRE. 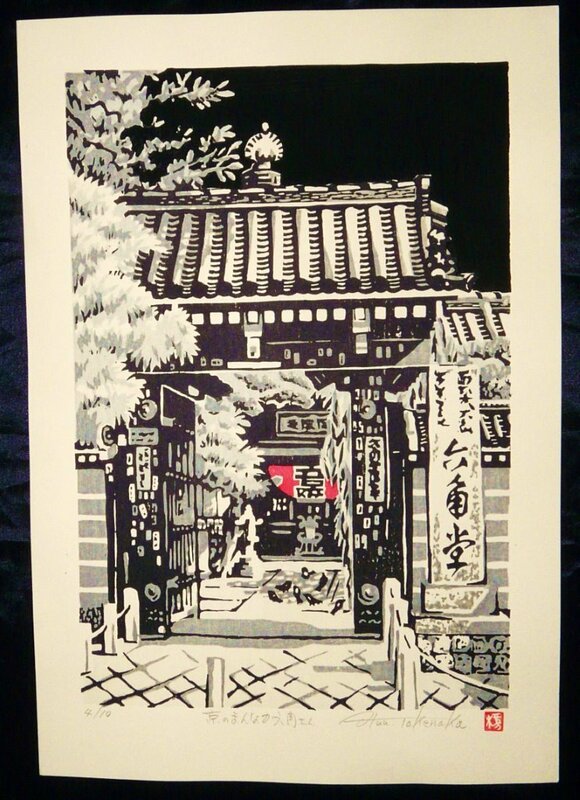 AN EXCELLENT LARGE SIZE WOODBLOCK PRINT BY A TALENTED NEW ARTIST WHICH I WAS VERY LUCKY TO OBTAIN as this Edition is NOW ONLY AVAILABLE IN RETAIL ART GALLERIES IN TOKYO. HAND SIGNED, NUMBERED THE LOW NUMBER 2 of ONLY 10 and TITLED all by THE ARTIST IN PENCIL IN THE BOTTOM MARGIN. Number 2 of the Very Small Edition of ONLY 10 ever created. MAKINO, HIROKI was born in 1975 in Nagano Province and Studied a print making at the Tama Art University. 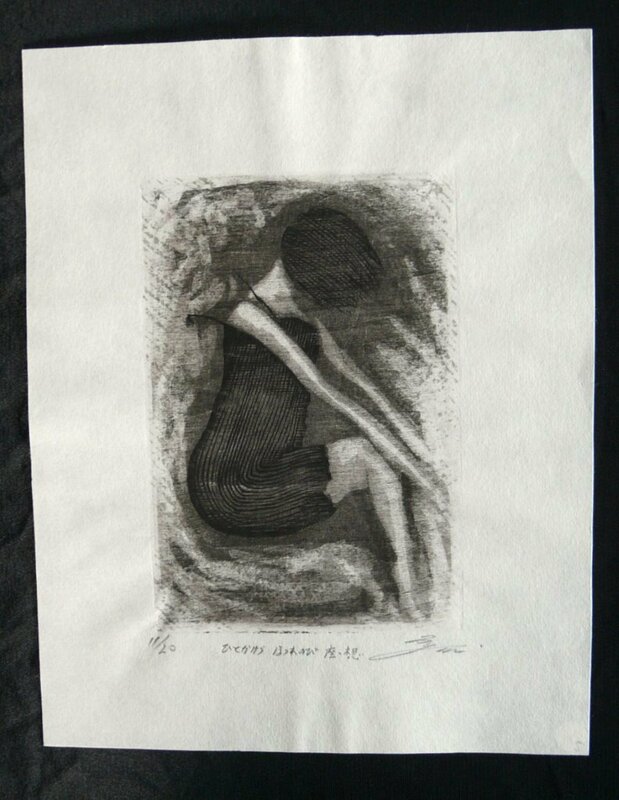 He first exhibited his work in 1996 winning a prize at the Fukui Mini Print Exhibition. Since then he has participated in three or four exhibitions every year winning prizes in most of them and the grand prize in Tokyo in 1999. 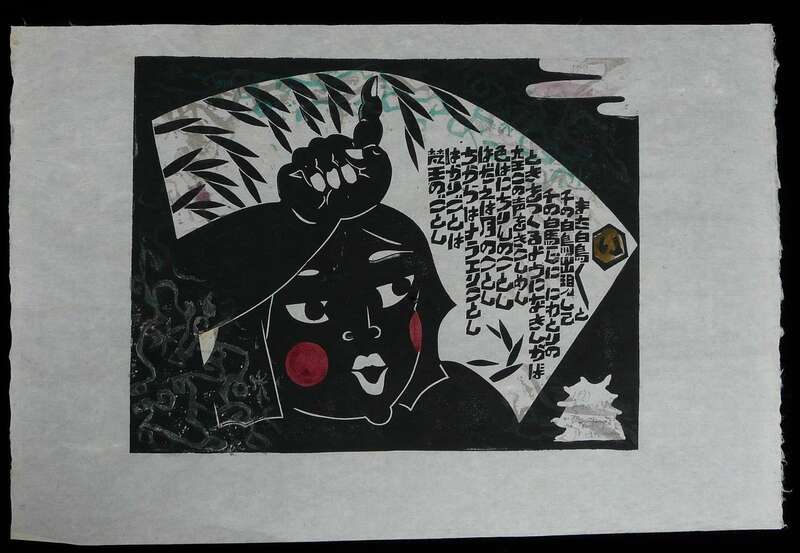 Collections of his work are held in the Abe Collection, Tokyo, Kawakami Sumio Collection, Tochigi and the Machida City Museum of Graphic Arts in Tokyo. HAND SIGNED, TITLED AND NUMBERED all by THE ARTIST IN PENCIL IN THE BOTTOM MARGIN. HAND SIGNED, TITLED, DATED AND NUMBERED all by THE ARTIST IN PENCIL IN THE BOTTOM MARGIN. HAND SIGNED, TITLED NUMBERED AND DATED all by THE ARTIST IN PENCIL IN THE BOTTOM MARGIN. TAKENAKA, FU was born in 1945. She worked for a design company and received second prize in the Fibre Design Council in 1964. In 2003 she began Creating Woodblock Prints and Received an Award in the Ban-in Exhibition in 2008. She is a Member of Nihon Hanga-in. 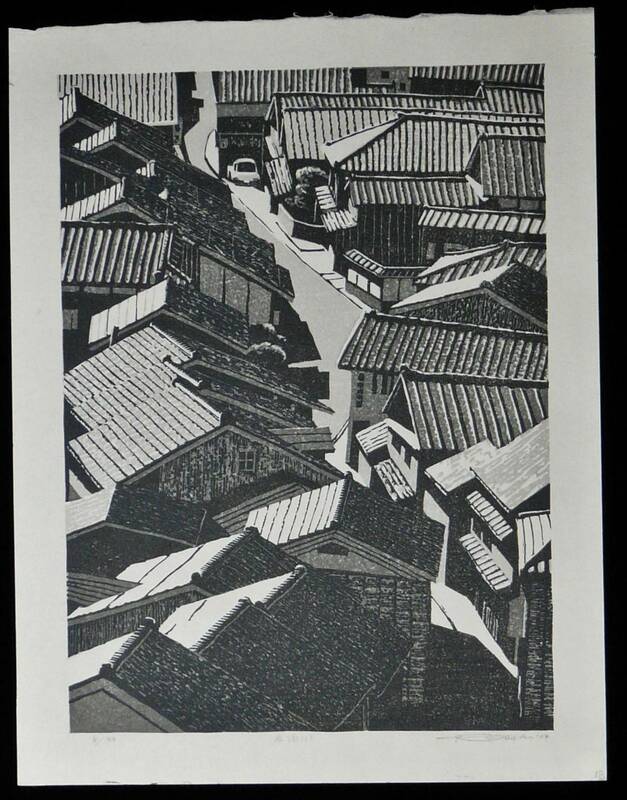 Ishihan Prints are Created from hand carved stone blocks instead of carved woodblocks. HAND SIGNED, NUMBERED and DATED all by THE ARTIST IN PENCIL IN THE BOTTOM CORNER.